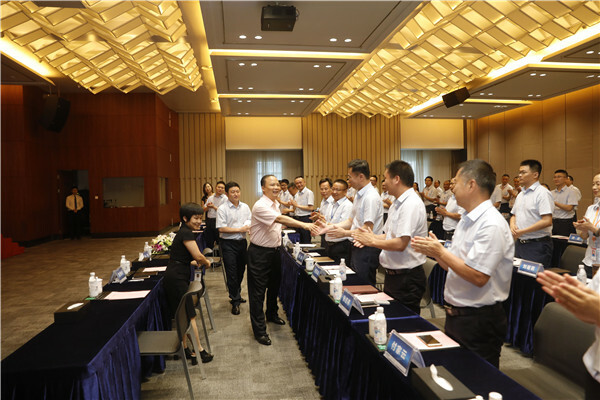 Chairman Liu Hanyuan Attended Purchase & Sales Department Mid-year Summary Meeting of Yongxiang Co., Ltd.
On July 31, the Purchase & Sales Department Mid-year Summary Meeting of Yongxiang Co., Ltd. was held successfully at Tongwei International Center. Mr. Liu Hanyuan, Standing Committee Member of the 11th CPPCC, Deputy to the National People’s Congress, Board Chairman of Tongwei Group, attended and gave important instructions. Mr. Duanyong, Board Member of Tongwei Co., Ltd., President and General Manager of Yongxiang Co., Ltd., with the executive team and the purchase & sales team attended the meeting.